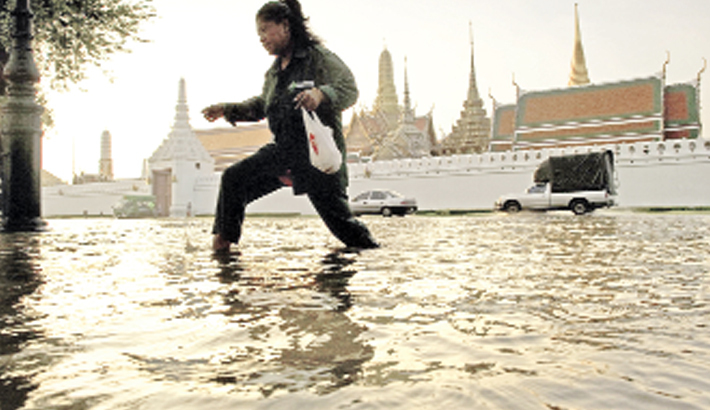 BANGKOK: As Bangkok prepares to host climate-change talks, the sprawling city of more than 10 million is itself under siege from the environment, with dire forecasts warning it could be partially submerged in just over a decade, reports AFP. A preparatory meeting begins today in Thailand’s capital for the next UN climate conference, a crunch summit in Poland at the end of 2018 to set rules on reducing greenhouse emissions and providing aid to vulnerable countries. As temperatures rise, abnormal weather patterns—like more powerful cyclones, erratic rainfall, and intense droughts and floods—are predicted to worsen over time, adding pressure on governments tasked with bringing the 2015 Paris climate treaty to life.